For your body, home or anywhere you want to smell like your favorite Ambre Blends Essence, we have Ambre Blends Spritzers! The Spritzers are a fun, easy way to blend your body, fabrics and favorite possessions with our essences, empowering your natural fragrance into a unique and soothing aroma. Ambre Blends Spritzers are very similar to Ambre Blends Oil Essences. We’ve taken the essences that you know and love and turned it into a fragrance spray that you can use all over, even on your pets. This natural fragrance spray comes in all four Ambre Blends Essences and can be used almost anywhere to radiate the scent of your choice. When using the Spritzer, always shake before you spray to ensure the product comes out as a mist. There’s no emulsifying agent in the spritzer which is what most perfumes and spritzers have in them to mix the scent, so by shaking the bottle you’re naturally providing an emulsifying agent. Once you’ve shaken the spritzer, spray it everywhere! Use it on your body, your hair, linens, rugs…anywhere! Spraying it in your hair is a great way to radiate the scent all day long. Spray it in while your hair is wet before your blow dry and your hair will hold the oil throughout the day. Avoid spraying on silk and rayon. 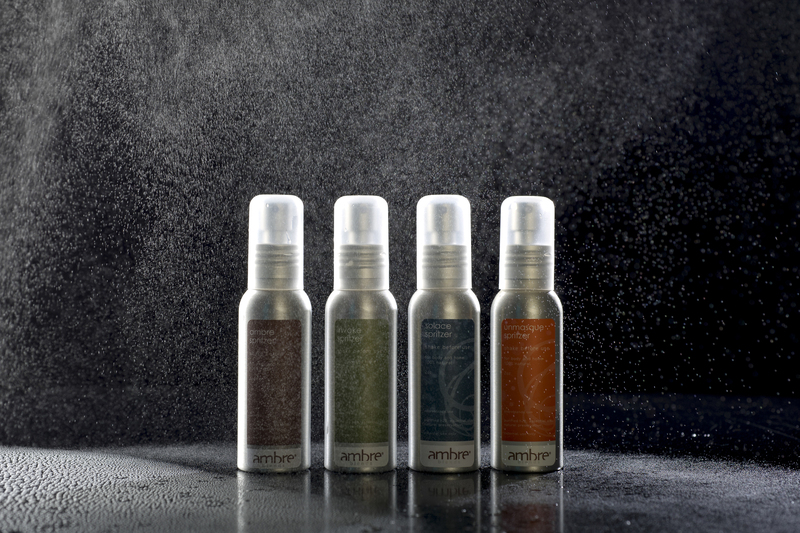 Ambre Blends Spritzers come in two sizes, 8.5 ounces and a travel size of 2 ounces (approved for air travel). The 8.5 ounce bottles has approximately 900 sprays in it. Want to know some creative ways to use your Spritzer? Here are five ways you can use your Spritzer.